Canva is no doubt the best online graphic design tool. I am happy that even if I have no advance skill in designing, I can use the site to create awesome graphics for my blog posts. I know many of you are aware that I am using blog graphics for my blog posts. Yes, I am using Canva to design these graphics and today I will teach you how to use this great design tool. I am using the free version and still contemplating if I need to upgrade to a paid version. But for now, I need to learn more about the site. Yes, Canva is free unless you decide to avail of a more advanced service then you can upgrade your account. Being a blogger require us to be knowledgeable in different fields. Blogging does not start and end on writing alone. We need more than a writing skill in order to achieve success in the blogging field. We have to be creative when presenting our blog posts in public. Otherwise, we might not win viewers' attention. Creating a timely, relevant and high-quality content is the most important thing that should be given a considerable time. But it doesn't end there. Another major challenge being faced by bloggers is the creation of blog graphics and other images for their blog posts. Based on research conducted by BuzzSumo, attaching relevant images on blog posts can bring more traffic compared to a post with no image. Having a little knowledge of design, one of the major obstacles that I am facing as a blogger is finding a good featured image for my blog posts. When I was starting to write, I was using those photos from Pixabay and other sites. But I wanted to have a more appealing featured image. Especially that I am sharing these posts on social media sites such as Facebook, Pinterest, and LinkedIn. As I made some research, Canva would always come on top. I already have an account on this site but not very familiar with how it works. Through consistent learning and reading tutorials, I was able to learn the basic features of Canva and started to love it. You may visit first blog post about Canva, Why I Love Canva? And Why You Should Too? 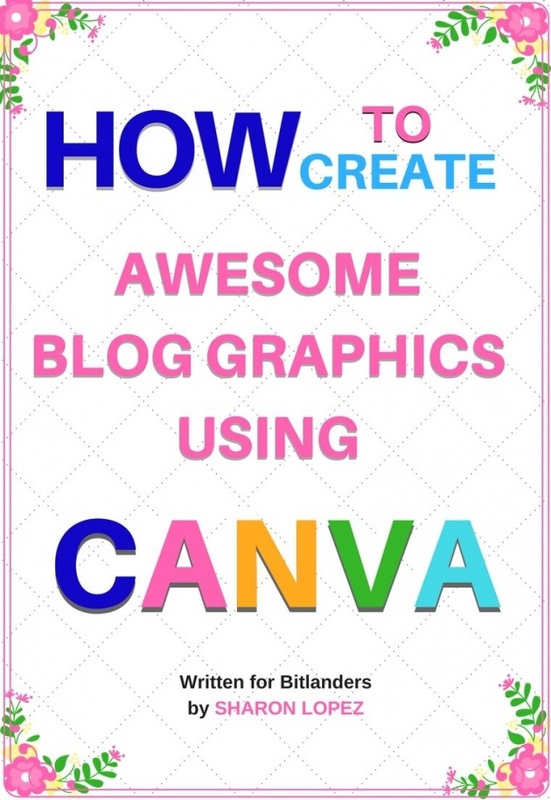 What I am going to share with you today are the basic features of Canva. This way we could be able to familiarize ourselves with the steps on how to make the most from the site. First and foremost, we need to know the different terms used in Canva. I have placed a screenshot of the site for easy understanding. You may use the search tab to find the most suitable images for your project. There are over a million images and illustration to choose from. Canva offers different layout designs for different needs. You may add different pages and use a different design for every page depending on the project. For example, you are creating a presentation wherein you want to have different designs on every page. The text tab can be found on the left side of the page. Just click the tab to open the different Text designs. Just click the desired text design or drag it to the page. You can edit the text by choosing from the different font size and designs available. Try different backgrounds for your projects. Choose from the wide selection available. Click the Background tab on the left side of the panel. Click Uploads if you want to use your own photos on your project. Adjust the size of your page by clicking the zoom control button. This is also known as the page where you will make a design. You can add a new page by clicking the Add page button. You can add pages to your design and set a different background on each page. Assign a name for the project by clicking the Title on top of the page. Please refer to Figure 1. Share button allows us to share our work on different social media and with other individuals. After we finish the design, we can download it in JPEG, PNG or PDF file. This is an option that would allow a member to share their design through a public profile. Turn your profile into public by sliding the button on the upper right corner of the page. Find additional help on your concerns by pressing the Help Tab. Step 1. Log in to your Canva account and click CREATE DESIGN. 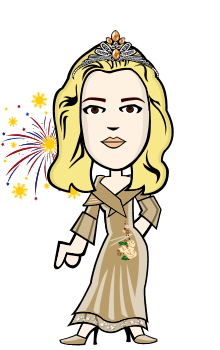 I made a sample using Pinterest Graphic. You can also customize the size of your design. The template will open in a new tab. From there you can now start designing your project. Step 2. You can either use ready made layouts for your project or you can place a new background. Step 3. Place a blog title. click the Text tab on the left panel and choose from the given selection. I would usually use Heading for Blog Titles. You can change the font color, sizes and add a frame to your page. You can also add some elements to your design. Step 4. Once done with your design, you can now download it. Creating awesome and brilliant designs is easy. You don't need to be a graphic artist in order to create one. Just a little practice and a lot of patience will do. Here is another video showing the simple steps in creating a design. Thank you for dropping by. Hope you enjoy today's blog post. Watch for more design tips. NOTE: IMAGES USED IN THIS POST WERE TAKEN AS A SCREENSHOT FROM CANVA AND EDITED THRU THE SITE. IMAGES AND VIDEOS WERE USED FOR PRESENTATION PURPOSES ONLY. Please visit my BLOGS more quality blog posts. Sharon Lopez is the owner of Online Working Solution. Would you like to earn from sharing your ideas, videos, and photos? Join us in Bitlanders! Sorry... IAM talking about Ubbersuggest...I have already asked about it..
@sharon-lopez please can u make a tutorial about how to use it perfectly ? You guys start using it Algergio? Lisasc? BigOne? Heart-Breaker? Get you graphics up using Canva Mclloyd? Saiyus giving Canva his heart? Ooh Suni who are you inlove with lol :) ? Where you snoozing off to Bhai? Mr Grin you feeling okay? thanks for sharing sis and congrats! Thank you sis @jean-beltran. Thank you, everyone, for dropping by. Thank you @Allison-Kirby. Can't write more blogs though. so busy with my day job.